countrylovingmarketblog | This WordPress.com site is the bee's knees. St. Patrick’s Day is only a few weeks away. Looking forward to the fun of St. Patrick’s Day and the festivities? We have some awesome home decor items left in stock at the market. Just hop on over to countrylovingmarket.com and take a look. What does thankful mean? As we walk thru our life journey it’s impossible to take in every moment and understand how a brief interaction with one person can guide our path. We take on bad moods, frustration and stress. And then in the middle of our bad day someone says or does something that seems to make our bad day worse. Or….we aren’t our best and pass on our mood and frustration. And so the snowball goes down the hill. This Thanksgiving let’s focus on the meaning of THANKFUL. Let’s be thankful for every person we meet, no matter their mood, or if even they aren’t kind to us. Let’s be thankful and and our part to make their encounter with us a positive one. Maybe we can offer a type of pay it forward for a Thankful attitude. Say thank you and smile today. We’ve got this! I have to share. We were doing a trial run with hair and makeup for my youngest sons wedding next weekend. Well, my grand baby is two, and she is in the middle of it all of course. With a brush in hand she was working hard on the finishing touches for all of us making sure no hair was, well…..out of place. She came to my husband, who doesn’t have much hair and paused. With a puzzled look she studied and evaluated the situation. What to to do, what to do. And then at last she had it, there were a few chest hairs showing from the top of his button down shirt. She just brushed those with a satisfied look upon her face. I suppose the lesson here is that if things don’t seem exactly as we normally see them…..just improvise. Have a great day and I hope this provided you a giggle. Fall, don’t you just love the colors, smells and crisp weather? 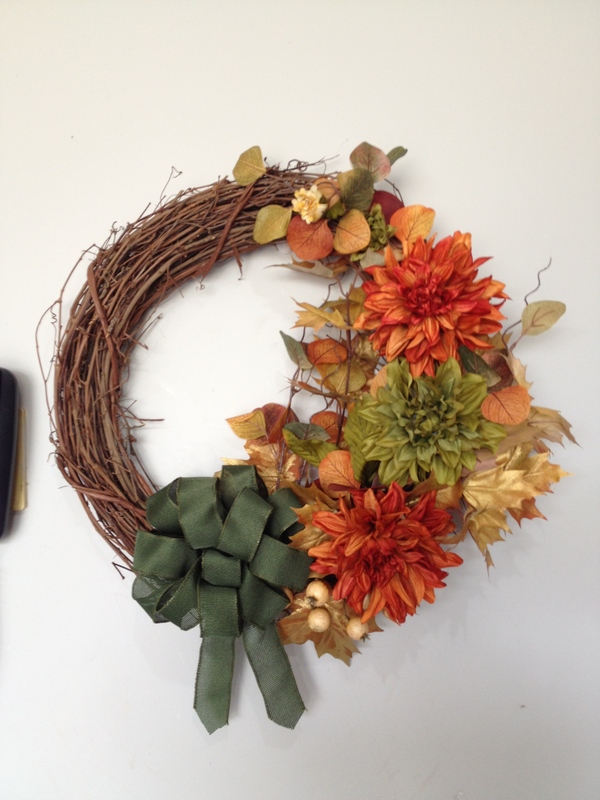 Here are a couple fall items available at the market. Just hop over to countrylovingmarket.com and check us out. Fighting a little asthma flare the last couple of days. I love fall, all of it’s colors and activities but…..there is that change of season that can cause allergies and asthma flares. I’ve been blessed, my asthma condition is controlled pretty easily overall. This little snare has made me stop and think of those that suffer daily and struggle for control. Learning companion for others thru our own trials and struggles. There is a lesson for us to learn every day. Well, fall is coming. I always feel the need to start baking when the weather gets cool. 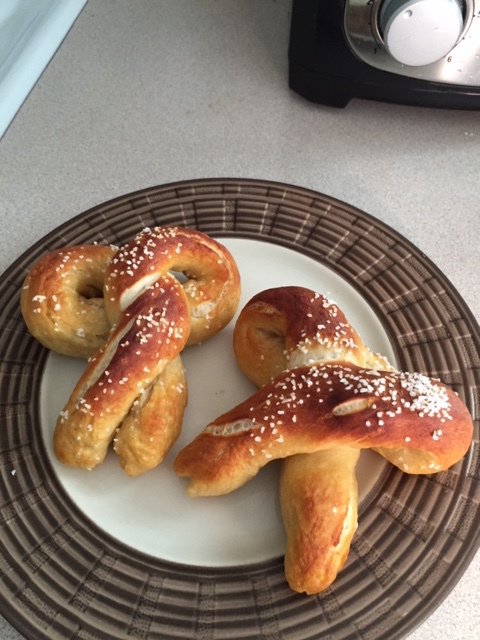 This morning I tried my hand at soft pretzels. I thought I would share my recipe. They turned out really good. Combine the water, sugar and kosher salt in the bowl of a stand mixer and sprinkle the yeast on top. Let it sit for about 5 minutes until it starts to foam. Add the butter and flour mix until combined. I use the hook attachment on low speed and then switch to medium speed. Continue to mix until the dough pulls away from the sides of the bowl. This takes a few minutes. Place the dough in an oiled bowl and cover with plastic wrap and a towel. Place in a warm place for an hour. It should double in size. Grease two baking sheets and set aside. Preheat the oven to 425. Bring baking soda and 10 cups of water to a bowl in a large dutch oven. Place the dough onto an oiled surface slightly flatten with your hand and cut in to 9 pieces. Roll each piece in to a long rope 18 – 24 inches. Fold in to a pretzel shape and set aside. Place the pretzels one by one in to the boiling water. This is foam. Remove from the water after 20 seconds and place on the baking sheet. Brush the pretzel with beaten egg yolk and water mixture and sprinkle with the pretzel salt. Bake until brown in color. Baking should take approximately 12 – 15 minutes. I don’t know anyone that doesn’t just love fall. The apples, crisp air and all the vibrant colors and festivals. 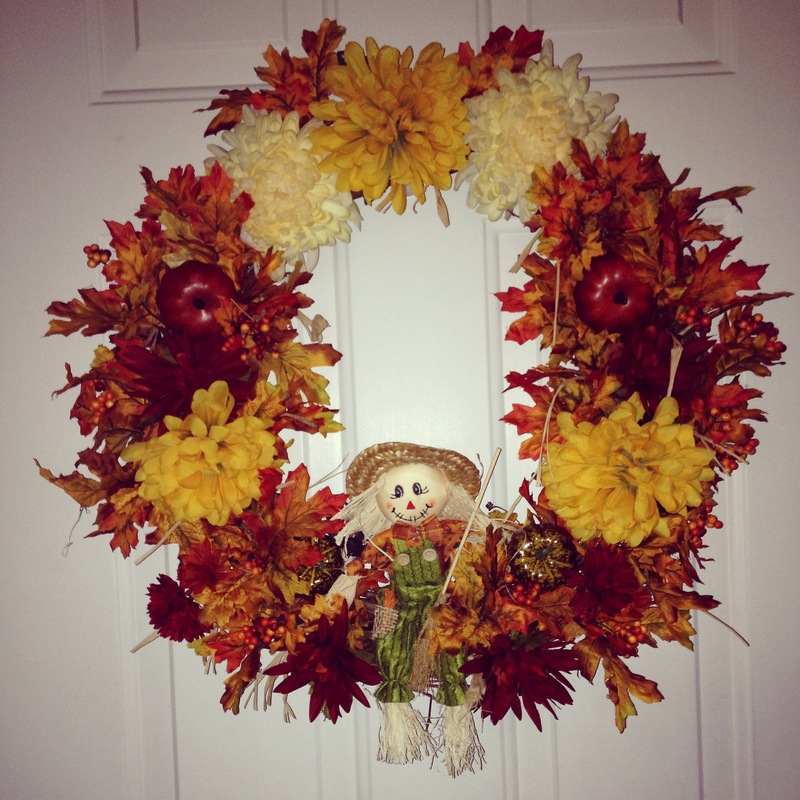 I am a fan of all the seasons but I just love designing fall and Christmas wreaths. Here are a couple new ones. These are available at Country Loving Market Etsy and Ebay.